The McWhorter School of Pharmacy at Samford University offers students the opportunity to participate in a variety of mission trips in the U.S. and abroad. 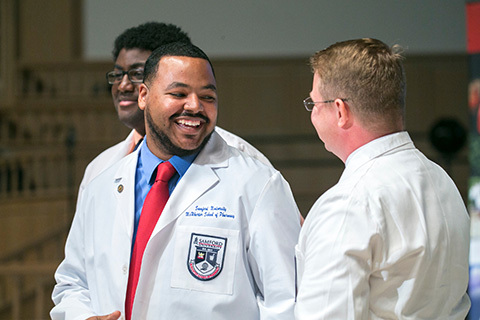 McWhorter School of Pharmacy students have many opportunities to participate in mission trips both in the United States and abroad. Check out third-year student, Courtney Hebert's, story as she is interviewed by CBS during her medical mission trip to Peru. Read about other international mission opportunities.